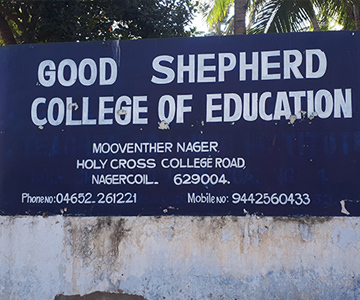 Good Shepherd College of Education, a self supporting teacher training college, was founded by P.George, M.A M.Ed., D.S.M., the recipient of Dr.S.Radhakrishnan Award, Correspondent, Secretary and Managing Trustee of Geoby Educational Trust which manages the college. 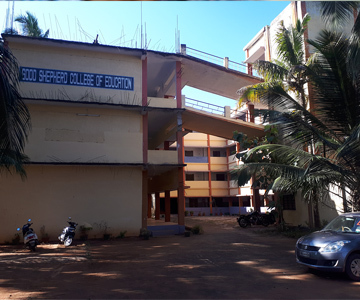 It is an offshoot of Good Shepherd Matriculation Higher Secondary school. It is founded with the aim of producing teachers with outstanding ability. It is located in Holy Cross College Road, Nagercoil-4, Kanyakumari District, South India. It lies in the main bus route just four Kilometers away from the Anna Bus Stand of Nagercoil Municipality. 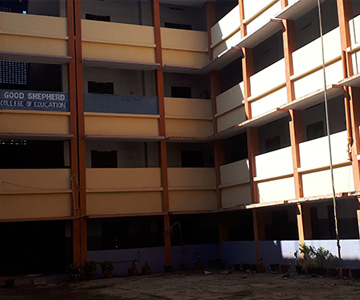 Being a co-educational institution, it had an annual intake of 100 students and well qualified faculty members. 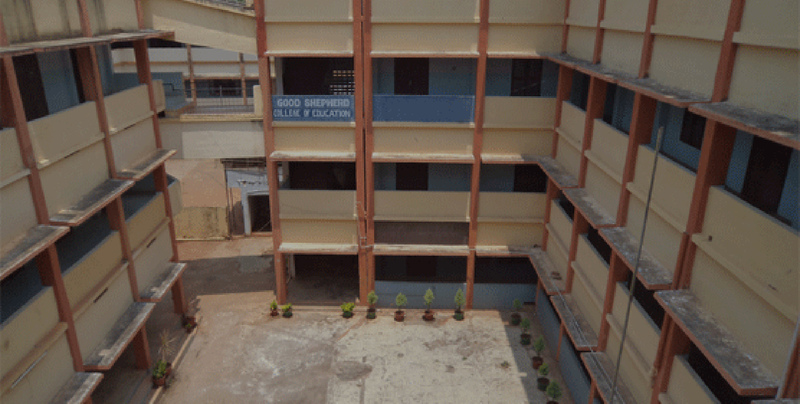 The college is recognized by the NCTE, Bangalore and is affiliated to Tamilnadu Teachers Education University, Chennai. From 2015-16 the course period is extended to two years and the annual intake in the college is 50 students. Earlier, the college was affiliated to Manonmaniam Sundaranar University and from 2008 it is affiliated to (TNTEU). To create devoted and talented teachers by providing quality teacher education. To make the trainees strive hard to achieve their goals by providing better learning facilities. To maintain the standard of educational adapting the latest developments in higher education.